Hard drives have to operate at thousands of rpm , work all day long and maintain a distance of the order of microns between the head and the platter (as we got to know in the lab). So, it is natural the hard drives “die”,i.e., they stop working eventually, resulting in the loss of our data and problems for us.But the S.M.A.R.T. supported drives may just tell you before its going to die, to save us the heartburn. S.M.A.R.T. stands for ﻿Self-Monitoring, Analysis and Reporting Technology and it tries to anticipate hard drive failure by keeping an eye on many of the drive’s crucial properties. S.M.A.R.T. support is built into most ATA and SCSI hard drives these days. If a hard drive has S.M.A.R.T. 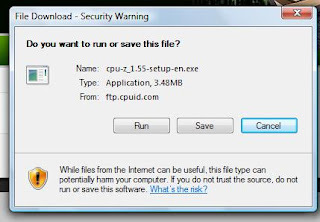 support , then it keeps monitoring itself for signs which may lead to a drive failure and warns the user/administrator so that he/she may be able to copy the data to another location before the drive dies. The first drive monitoring system was introduced by IBM in 1992.﻿ Another variant was created by computer manufacturer Compaq and disk drive manufacturers Seagate, Quantum, and Conner which was named ﻿ IntelliSafe.﻿ Compaq submitted their implementation to Small Form Committee for standardization in early 1995. It was supported by various other companies including IBM and was chosen by the committee as the standard due to its flexibility and was named S.M.A.R.T.. According to PCtechguide’s page on ﻿ S.M.A.R.T. , the smart technology has evolved from just monitoring hard drive activity for data retrieved by operating system to testing all data and sectors of a drive using “off-line data collection”(when drive is inactive). The most basic information provided by the SMART system is the SMART status. It has two values , “threshold exceeded” or “threshold not exceeded”,which correspond to “drive about to fail” or “drive okay”.A “threshold exceeded” value suggests that the drive is about to fail,i.e., it will not be able to work according to its specifications anymore. 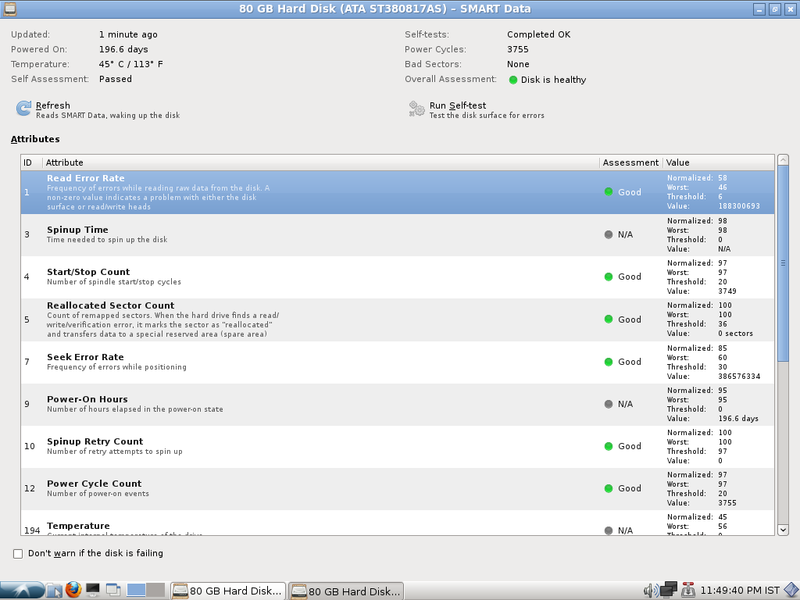 For more information on a drive’s health, SMART attributes can be examined. there are various types of SMART attributes like read error rate,throughput performance,spin up time etc. which have different threshold values defined by the manufacturer and tend to vary from one manufacturer to another. If a attributes threshold is crossed , it may report an impending drive failure, but it all depends on the implementation of SMART attributes by the manufacturer as these attributes were not included in the standard. A list of all the SMART attributes and meanings of their raw values is available at http://en.wikipedia.org/wiki/S.M.A.R.T. 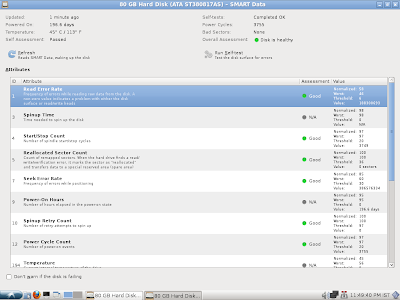 Furthermore, some drives also support various self tests and maintenance tests as a part of SMART system to reduce the chances of sudden disk failure. 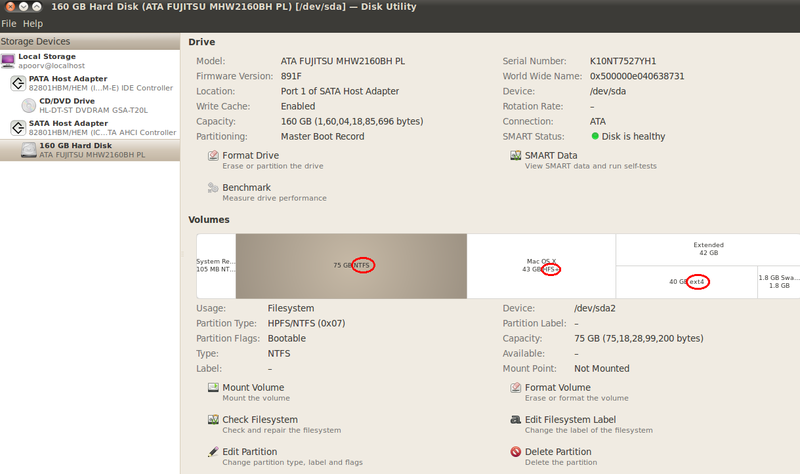 In linux, one can view the SMART properties using the disk utility or by using ﻿smartmontools' smartctl utility. 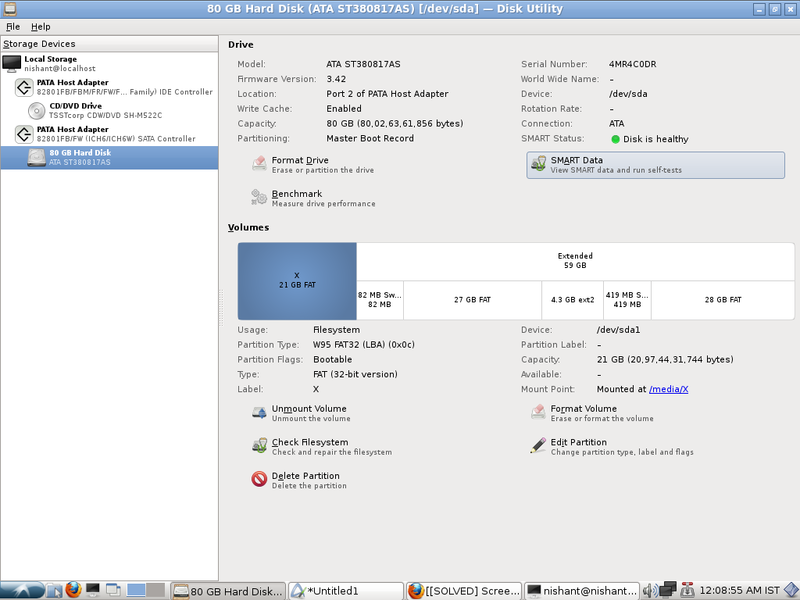 A detailed article on how to use this utility and more about SMART is available at http://www.linuxjournal.com/magazine/monitoring-hard-disks-smart (i havn’t tried it yet, if anybody tries it ,let me know about the results). Buses look like "a bundle of wires" or PCB's that terminate at multiple connectors where devices can be plugged in. They are used basically to connect electric components. The S-100 bus "Card Cage" - The S-100 bus was used in the earliest "Microcomputers"
Technology evolved, computers became sophisticated, and so did these guys. 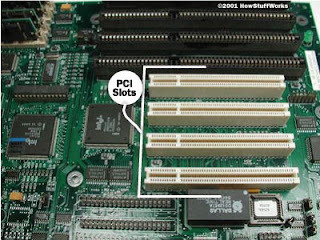 PCI is a widely used computer bus which acts as a standard interface for connecting peripherals to the computer, in two ways - An integrated circuit embedded in the motherboard, or an expansion card which fits into it's slot. 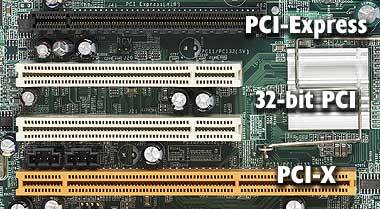 PCI is capable of allowing high speed of data transfer, which modern peripherals(eg: Graphic cards, Ethernet)require. 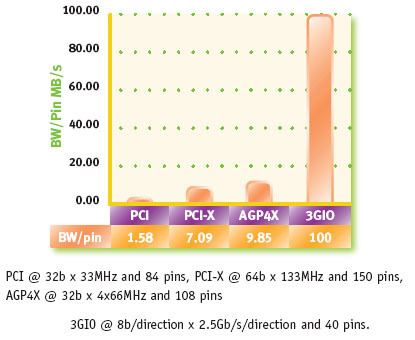 PCI-X(64 bit) is the 32 bit PCI bus optimized for higher performance. It is twice the width of the PCI and narrower. 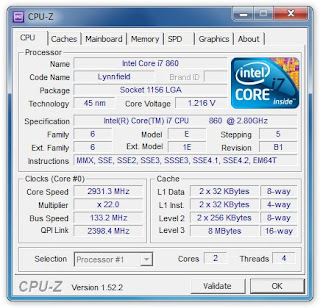 It runs at higher frequencies, and can manage four times the clock speed. 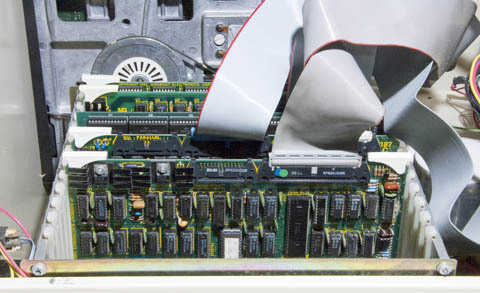 It was developed(by IBM, Microsoft, HP) to increase the performance of high level peripherals like high-end graphic cards and Storage devices, gigabit - speed ethernet, which isn't feasible by the conventional PCI design. 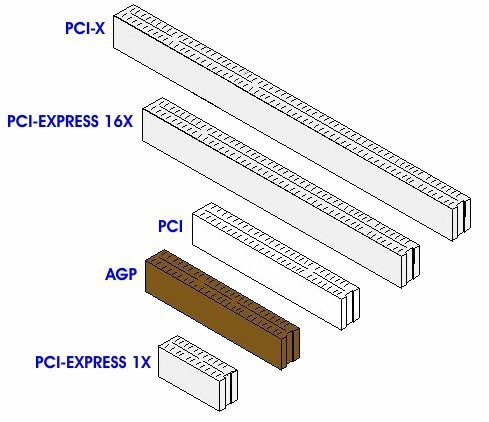 Except for a few changes, The basic structure of PCI and PCI-X are similar, they follow the same protocol and perform the same functions. PCI Express is an innovative new design that is used as an Expansion Card(It can't be connected to PCI/PCI-X directly) to replace PCI and PCI-X. PCIE operates more like a network than a bus. In a PCI/PCI-X, one bus handles data from multiple sources at once. In PCIE, a switch controls several point to point serial connections, these connections are conveyed directly to the device where the data needs to go making a serial interconnect along a switched bus, dedicated exclusively to that slot. Meaning - The PCIE point to point connection connects only two devices at one time. Parallel connections (used by PCI-X) undergo problems during high speed data transfer - like electromagnetic interference. Interconnecting lanes of PCIE give it a higher bandwidth. Less steps needed to process instructions, due to it's architecture. If any you feel anything mentioned is incorrect, please drop a line and I'll make changes to ensure no misconceptions happen. 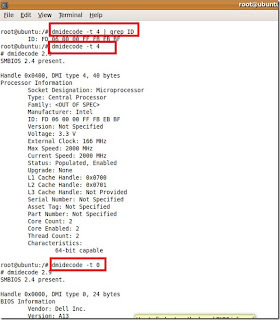 There are quite a few manufacturers that are producing different BIOS chips: Award, AMI, Phoenix, and IBM. Most commonly you can find AMIs, AWARDs and PHOENIXes. The BIOS is stored on a ROM chip. These ROM BIOS chips can be of different measurements and look different from each other. Check out the following two types of chips. The one on the left is an AWARD (as stated on the sticker), while the one on the right is a Phoenix chip.